Our seasoned engineers are experts in conducting elaborate central heating installation. They have more than ten years of hands-on field experience. They install and test the appliance according to specifications and established standards. They are efficient and well-grounded in the latest central heating technology. They have the ability and capacity to install all models of the apparatus from different manufacturers. Our service engineers are fully qualified and insured installers. In the whole of Musselburgh, Dalkeith, Livingston, Leith and Blackford areas, we are trusted for durable central heating services. 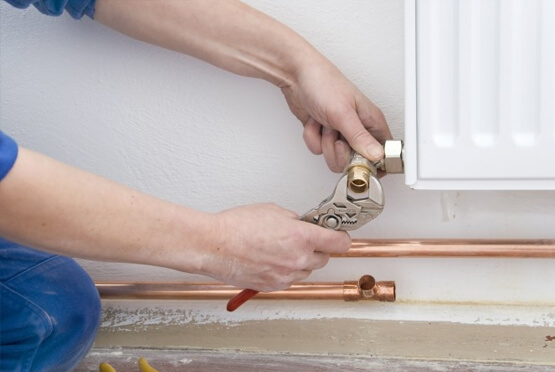 Whether you want to install or to upgrade your boiler, we have tailor made installation services. Our packages are fashioned in such a way to suit your pocket and to improve your comfort. For timely private home or commercial installation of the heating system, contact us today. Our services are not limited to heating installation; we also offer regular routine maintenance practices under a convenient arrangement. We also conduct boiler installation, boiler repairs & maintenance, boiler servicing and gas & boiler leaks checks among others. We make sure that you receive an all-round package at a competitive price. We save you the trouble that arise from poor installation and maintenance, which leads to complete breakdown and damage of the whole apparatus. Total breakdown of the heating system may be caused by initial poor installation, poor maintenance, faulty valve, extreme temperature, extreme pressure, corrosion and other factors. At Eco Efficient Edinburgh, we are known for thoroughness in all our undertakings. We do not compromise on quality when servicing your system. We save both your wealth and health. We value you. Come to us for professional same day services. Our installation services are available each day of the year. Our mobile engineers work in shifts to meet your demands. Do you have a heating system emergency? Are you in need of advice on various functions of the system? Do you want to install or upgrade your heating system? Our customer desk and engineers are at your disposal. We offer free consultation on central heating installation and other boiler and gas services. Do not wallow in darkness. We are just a phone call away. By investing heavily in technology, we have enabled you to have a choice. Do not risk by subscribing to substandard central heating installation services. Come to the tried and tested service provider. We ensure the equipment is working to the highest standard. We are dully registered and do our utmost to meet your needs. Send us an email or give us a call now and we will be with you shortly.